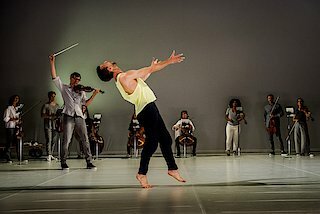 In 2020, Tanzmesse takes place in Düsseldorf from 26 to 30 August. For the first time there will also be performances on Sunday. The Exhibition Halls will be open to professional visitors and the interested public from 27 to 29 August. 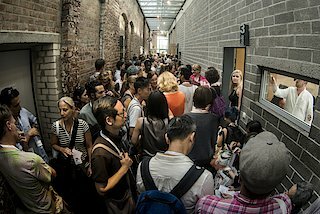 At the Tanzmesse, artists from more than 50 countries in Europe, the Americas, Africa, Australia and Asia find an equal opportunity to present their work to a professional audience. The Tanzmesse is an event dedicated to contemporary dance without any specific geographical focus. 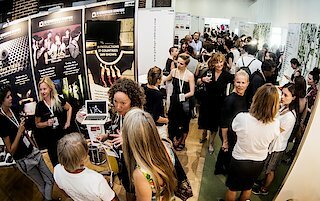 The Tanzmesse functions through encounters between Professional Visitors and Exhibitors in the Tanzmesse Exhibition Halls. We value and encourage networking above all else. 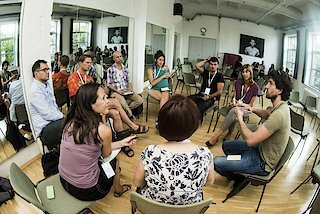 This means that Tanzmesse participants can find many opportunities to meet their peers and colleagues in an environment where everybody is on the same level: in the Exhibition Halls, at the Talks & Panels and at the Open Studios, but also after the performances at the night-meeting encounters. All forms of contemporary dance formats, personalities and organisations are welcome and expected at Tanzmesse. As an event that brings together over 1,900 professionals, you will meet people with whom you have a lot in common. We encourage you, whether you are a new or a long-time attendee, to not only arrange meetings before you arrive, but also leave a lot of space in your agenda for the unexpected… this is the best chance to leave the Tanzmesse with a fruitful cooperation plan. The performance programme of the Tanzmesse is an opportunity for Tanzmesse Exhibitors to present their work live, in the shape of fully produced performances or in the form of Open Studios, on the best stages for dance in Düsseldorf and Krefeld. 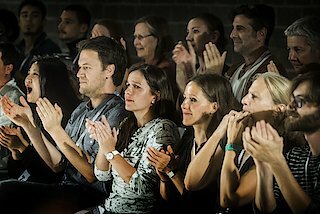 The artistic programme is a selection of performances chosen from proposals submitted by artists. For the first time, the internationale tanzmesse nrw is focusing on a specific theme. For the 2020 edition, we particularly welcome proposals for the artistic programme and the T-Talks on the theme "Tradition and Present". With the increasing dissolution of cultural differences and idiosyncrasies by the advancing globalisation, longing and desire emerge, but above all questions about our identity, about tradition, roots, culture, and meaning.